A fun twist on one of America’s favorite pies, the new treat is a hand-spun combination of Chick-fil-A’s signature IceDream®, Chick-fil-A Lemonade (or Diet Lemonade) and natural, sugar-free lime flavoring made from a blend of key limes, kaffir limes and Persian limes. Frosted Key Lime gets its green color from a mix of nutrient-rich ingredients, including spirulina and turmeric. And don’t forget you can earn points for this tasty treat by ordering the Frosted Key Lime through Chick-fil-A One. After testing Frosted Key Lime at participating Austin-area restaurants last fall, it was clear that guests love Frosted Key Lime as much as we do – the Frosted Key Lime’s creaminess, authentic key lime taste, and blend of tartness and sweetness were among the leading reasons it became a popular treat. And the Waffle Fries were most frequently ordered with the beverage – a perfect pairing, if we do say so ourselves! Chick-fil-A Chef Christy Cook played a key role in developing the Frosted Key Lime and says she is excited for customers across the nation to try it. She got her inspiration for Frosted Key Lime from a Key Lime Pie Milkshake that was considered for the menu more than a decade ago. Ready to give it a taste? As a seasonal offering, Frosted Key Lime will be on our menu from March 18 until May 25, or while supplies last. It’s available in small and large servings with prices starting at $3.39. 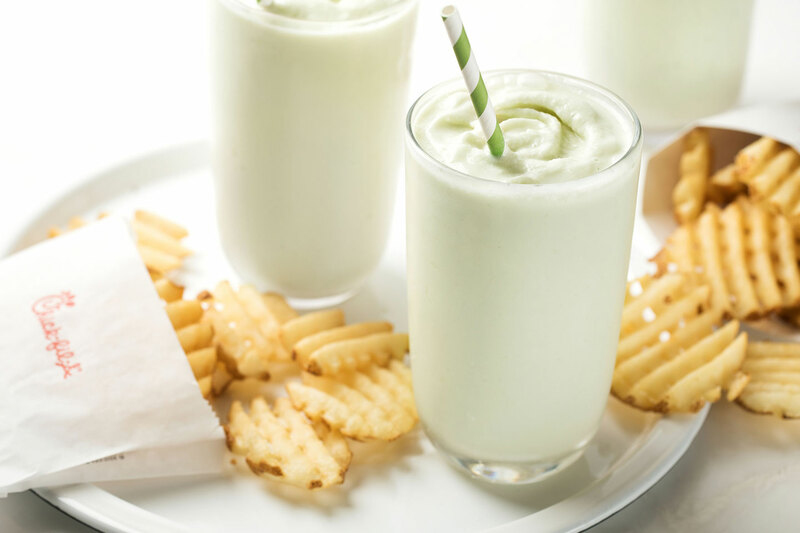 A small has 350 calories (with regular Lemonade) or 280 calories (with Diet Lemonade) – fewer calories than a milkshake.